Much has been written about managing information technology (IT) project contracts and their ultimate effect on fulfilling an organization's strategy. The integration of managing IT projects, contracts and firm strategy, however, continues to capture the attention of scholars and practitioners. This paper discusses the integration of these issues while providing a necessary process framework of how project contracts become strategic to firms when repeated transactions, increased risk identification, enhanced trust over time, and improved exploration and learning are present. IT project management has been and continues to be a growth profession, and the use of IT project contracts to outsource work has been increasing in importance as well. 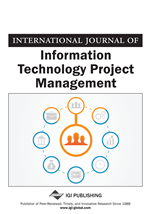 The authors have found that IT project management is collaborative when work is administered through information technology contracts that respond to organizational objectives. Because of the variance in how IT contracts are managed, they develop a strategic process model and discuss two lessons learned to better facilitate managing IT contracts. The proposed model and lessons learned provide insight so that the achievement of organizational strategy can be improved through simultaneous IT project and goal alignment. Projects are defined as temporary and unique (Adler, 2003). The project teams that are typically used to accomplish these temporary endeavors have several defining characteristics: 1. team membership is diverse; 2. team members share work amongst themselves; and 3. teams are called upon frequently to manage project contract(s) (Adler, 2005; Grabher, 2004; Manning & Sydow, 2011; Sydow, Lindkvist & DeFillippi, 2004). The effective management of project contracts is foundational to most organizations and a central concern is how to manage business partners through project contracts so that the project contract, once completed, aligns with organizational objectives. Coordination and administration of the project contract is key to a firm’s strategic success because modern work is complex and collectively done with many different business partners (Gkeredakis, 2014; Roxenhall & Ghauri, 2004). Coordination of project contracts within organizations is not only tricky but also a double-edged sword. On the one hand, project teams are expected to manage work autonomously to escape the pitfalls of micro-management and needless oversight but at the same time are required to communicate lessons learned frequently when implementing project contracts. Communication is critical to enhancing organizational decision-making, ensuring that other projects can learn from your actions, and allowing firms to align work with corporate direction. This is why DeFillippi and Roser (2014) suggest the need for project portfolios as a method of integration in accomplishing firm strategy. An IT project contract encompasses many of the issues related to integrating a firm’s strategy because IT work is inherently strategic (Adler, 2003; Goo et al., 2009) in how it can be designed to disseminate business variables for analysis that assist decision-makers and stakeholders in the strategy-making process (Narayanan & Raman, 2004). For instance, Huber, Fischer, Dibbern & Hirschheim (2014) describe situations whereby goal realignment occurs when relational governance is balanced with formal contract management to align the project with organizational strategy.